Kevin Durant is all about telling stories about this life through his sneakers and the "Aunt Pearl" series has been the most successful. Every year since release of the KD IV in 2012, Durant has dedicated a sneaker to his late aunt who passed away from lung cancer in order to keep her memory alive. 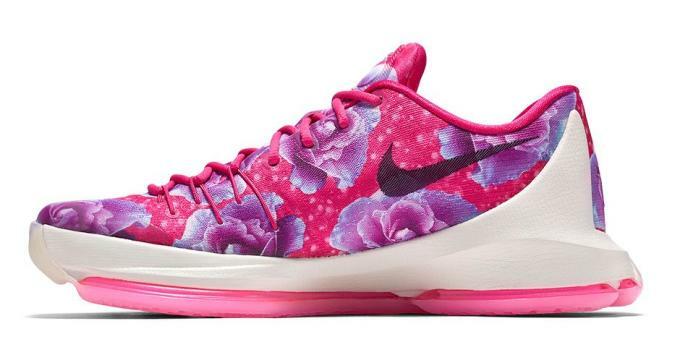 Durant continues the tradition of pink sneakers with the Nike KD 8 "Aunt Pearl." 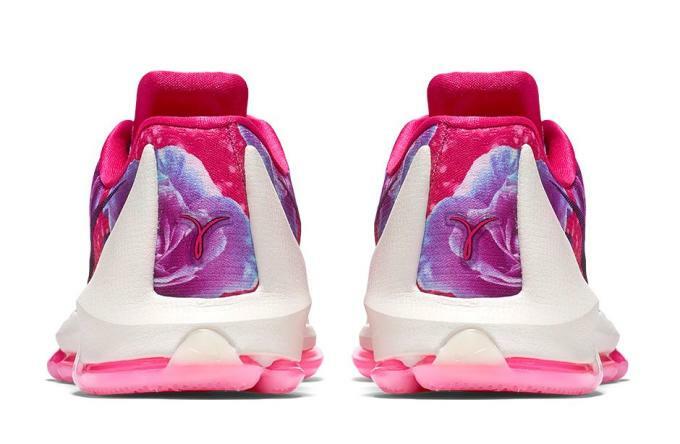 Much like the "Aunt Pearl" KD VI, this year&apos;s version features roses on the upper in addition to the pink colorway. 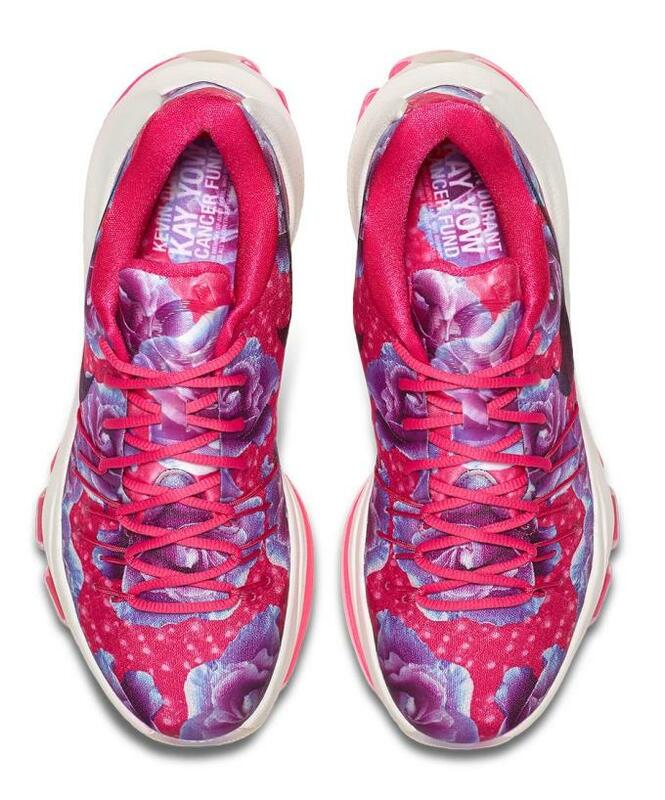 The insoles read, "Kay Yow Cancer Fund" and its logo is incorporated on the heel in support of the foundation. Set on top of a white midsole and pink outsole, the sneaker is eye-catching for a great cause. Aside from being a impressive design, it&apos;s refreshing to see sneakers have an impact of great importance. 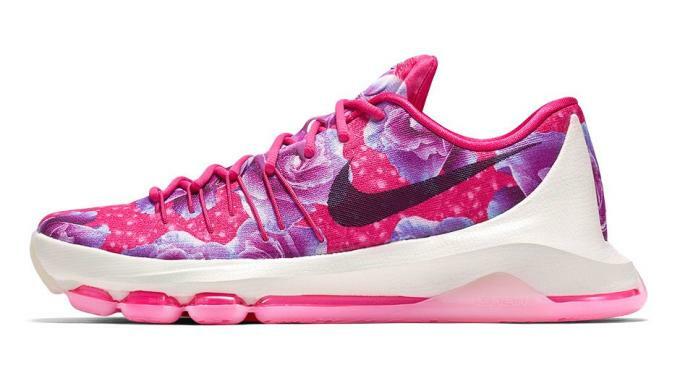 The Nike KD 8 "Aunt Pearl" officially releases Monday, February 22 at 10 a.m. for $200 on Nike Store.